IVY VINES ENTRY MAT home decor, jewelry, decor, decorations, electronics, fountains, floor mats, art glass, vases, garden essentials, fireplace screens. 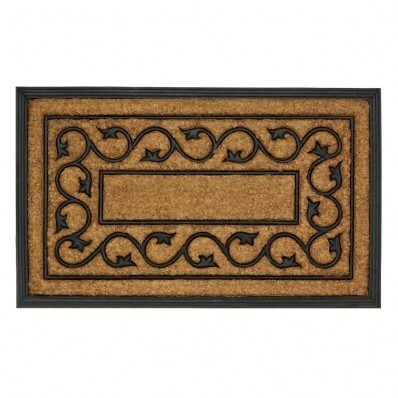 Swirling vines of black rubber curl around this coir entry mat, making a stylish statement for your front door. Youll love that its pretty and has a purpose, as it keeps debris and dirt from entering your home on the soles of your shoes. Material(s): RUBBER COIR. Dimensions 30" x 18" x 0.875".